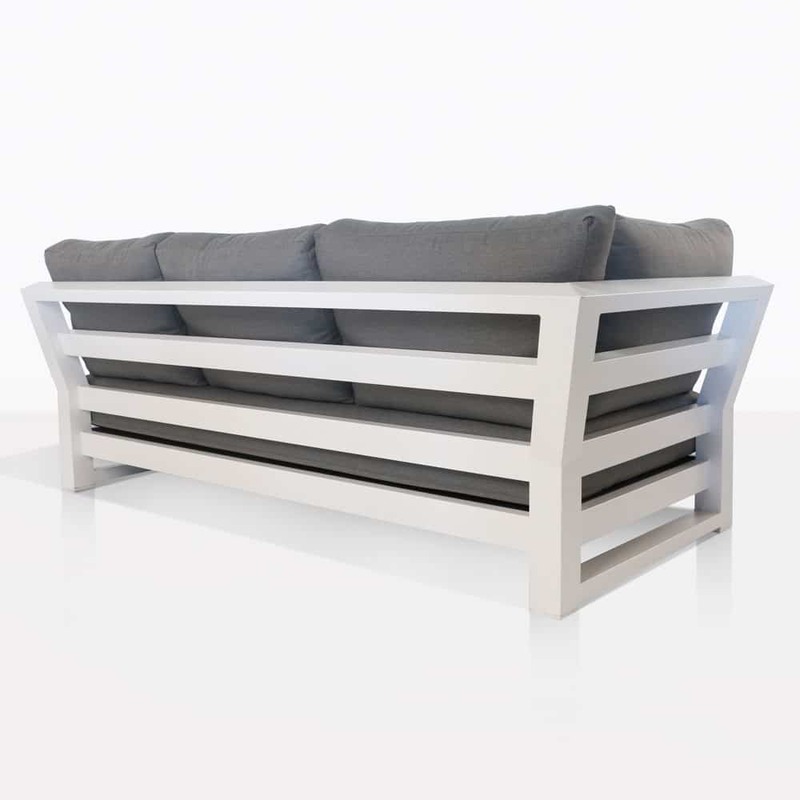 Seriously stylish, our South Bay Outdoor Sectional Right Arm Sofa in stark white is a core piece in an illustrious collection that responds to the core adjectives associated with the South Bay area – urban, coastal, opulent, and metropolitan! The fabulous South Bay Sectional Collection features this Right Arm Sofa as well as a Left Arm version, Corner Piece and Ottoman, pieces that fit together with ease and look incredible individually also. 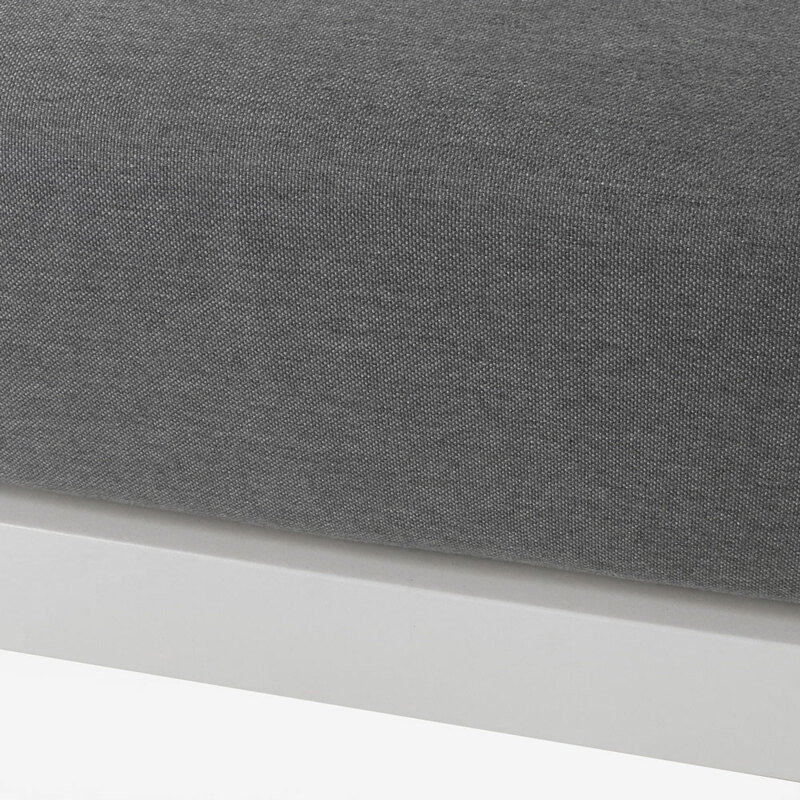 Each item as a strong, linear base, giving way to a lightly angled arm showcasing the panels of powder coated aluminum, which overall contributes to a luxurious and industrial vibe. The seats are met with soft Sunbrella® cushions, a perfect contrast to the sleek lines of this excellently designed collection. 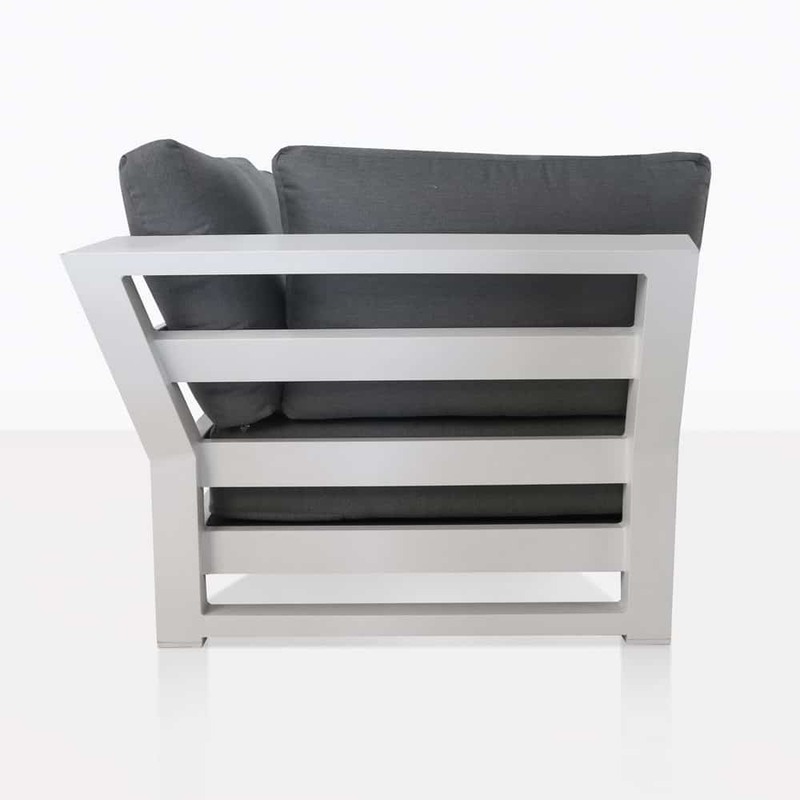 The South Bay Outdoor Collection suits many spaces. Why not place your Right Arm Sectional Sofa in a nook alongside your French doors – allowing you to open up to superb luxury as well as a place to lay out on a lazy afternoon. Perhaps you’re looking to complement your dining suite with a relaxing area? Make an open configuration by using the opposing sectional Sofas in between a South Bay Corner piece – place the Ottoman or another Coffee Table front and center, then all you need to do is sit back, relax and enjoy the company in your surroundings. This Sofa and Collection are made from top of the range materials that allow you to keep your furniture outdoors with simple care and minimal maintenance. 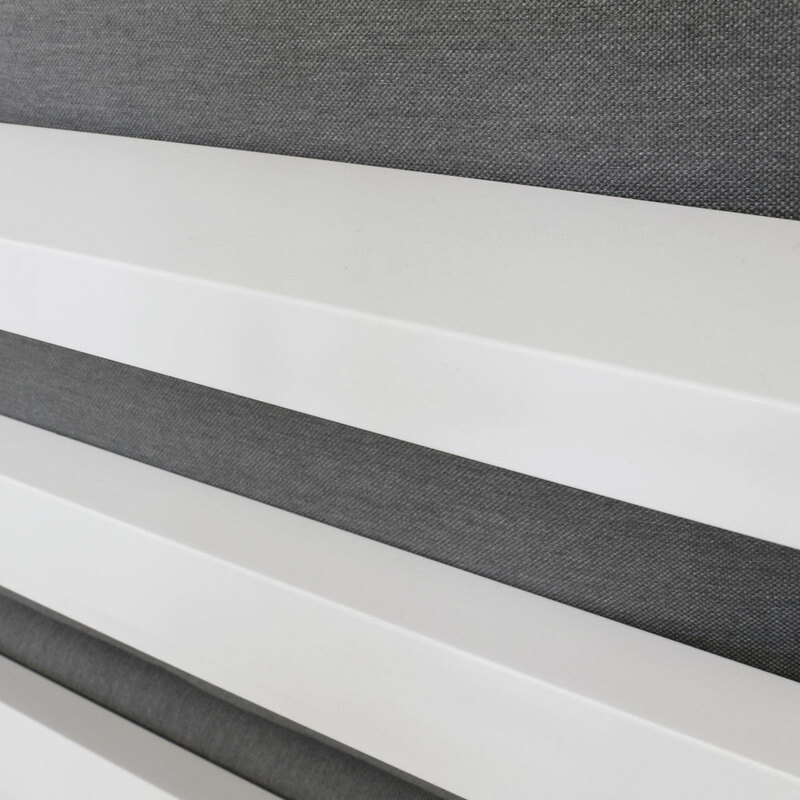 From powder coated white aluminum to UV protected Sunbrella® fabric, we have you covered, with incredible materials that will see you in the luxury and comfort you deserve. 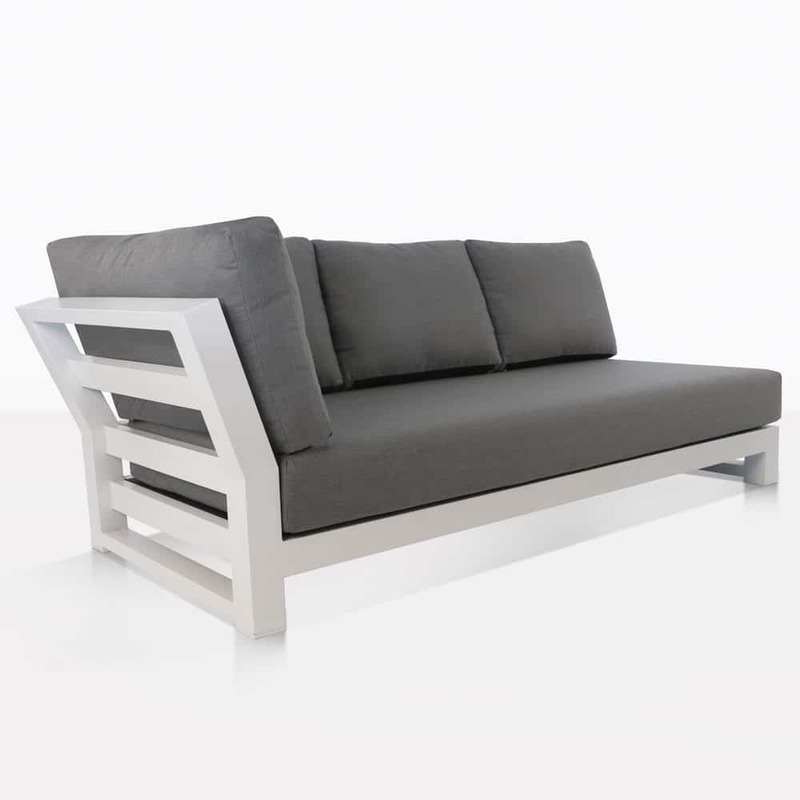 The South Bay Right Sofa is a beautiful piece available from Design Warehouse now! Call us today to secure your next investment in a better way of life! In resplendent relaxation and luxury.